Take an example of any popular brand you know and they all have their own digital marketing strategy. Yes, it is digital marketing which is bringing all the difference and allowing the brands to grow in an effective way. It is true that with digital marketing you obtain maximum results and you can even reach your potential customers out there. So, what are the major benefits of digital marketing? Read below. Your Customers Are Going Digital: The modern customers are online every time and they are more involved with various digital gadgets. Thus, you have to make use of this fact and must target your customers who are online. And the best way to do this is through digital marketing. When you are targeting the audience on any digital platform, then they would be able to take an informed decision regarding your products and services. Digital Marketing Is Affordable: It doesn’t matter if your company is big or small; you always have to think about the money you spend on various services. And when it comes to promoting your business and saving money simultaneously, only one thing is needed and that is an effective digital marketing strategy. You Can Easily Monitor And Track Your Marketing Campaigns: It is so true that the modern marketers know what strategies would work and what won’t work for a particular business. Also, with their help the businesses can easily monitor their success and check if the current strategy is working for them. Further, you can find out if your return on investment is worth your work or not and then you can easily change your strategy according to the results. Now you know why digital marketing is the first choice for every business owner and what you need for making your digital marketing campaign successful. 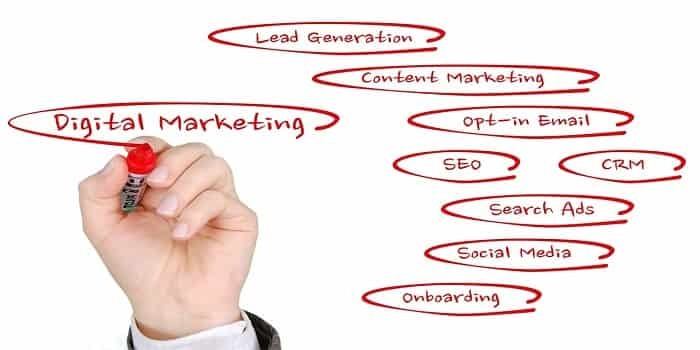 With the help of an expert digital marketing agency like Spark Plug Media, you will be able to take your business to the next level and target to potential customers out there. To get help from professional marketers at Spark Plug Media, you can visit us or call us at 844-633-3111 anytime.